The World Health Organization Adult Attention-Deficit/Hyperactivity Disorder Self-Report Screening Scale for DSM-5 By Ustun B, Adler LA, Rudin, Faraone SV, Spencer TJ, Berglund P, Gruber MJ, Kessler RC. 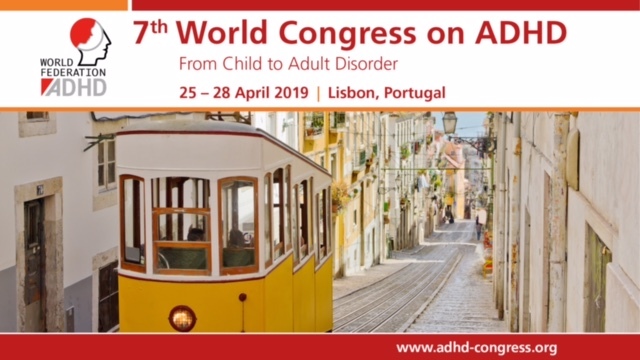 Importance: Recognition that adult attention-deficit/hyperactivity disorder (ADHD) is common, seriously impairing, and usually undiagnosed has led to the development of adult ADHD screening scales for use in community, workplace, and primary care settings. However, these scales are all calibrated to DSM-IV criteria, which are narrower than the recently developed DSM-5 criteria. To update for DSM-5 criteria and improve the operating characteristics of the widely used World Health Organization Adult ADHD Self-Report Scale (ASRS) for screening. Design, Setting, and Participants: Probability subsamples of participants in 2 general population surveys (2001-2003 household survey [n = 119] and 2004-2005 managed care subscriber survey [n = 218]) who completed the full 29-question self-report ASRS, with both subsamples over-sampling ASRS-screened positives, were blindly administered a semi-structured research diagnostic interview for DSM-5 adult ADHD. In 2016, the Risk-Calibrated Super-sparse Linear Integer Model, a novel machine-learning algorithm designed to create screening scales with optimal integer weights and limited numbers of screening questions, was applied to the pooled data to create a DSM-5 version of the ASRS screening scale. The accuracy of the new scale was then confirmed in an independent 2011-2012 clinical sample of patients seeking evaluation at the New York University Langone Medical Center Adult ADHD Program (NYU Langone) and 2015-2016 primary care controls (n = 300). Data analysis was conducted from April 4, 2016, to September 22, 2016. The sensitivity, specificity, area under the curve (AUC), and positive predictive value (PPV) of the revised ASRS. Of the total 637 participants, 44 (37.0%) household survey respondents, 51 (23.4%) managed care respondents, and 173 (57.7%) NYU Langone respondents met DSM-5 criteria for adult ADHD in the semi-structured diagnostic interview. Of the respondents who met DSM-5 criteria for adult ADHD, 123 were male (45.9%); mean (SD) age was 33.1 (11.4) years. A 6-question screening scale was found to be optimal in distinguishing cases from non-cases in the first 2 samples. Operating characteristics were excellent at the diagnostic threshold in the weighted (to the 8.2% DSM-5/Adult ADHD Clinical Diagnostic Scale population prevalence) data (sensitivity, 91.4%; specificity, 96.0%; AUC, 0.94; PPV, 67.3%). Operating characteristics were similar despite a much higher prevalence (57.7%) when the scale was applied to the NYU Langone clinical sample (sensitivity, 91.9%; specificity, 74.0%; AUC, 0.83; PPV, 82.8%). The new ADHD screening scale is short, easily scored, detects the vast majority of general population cases at a threshold that also has high specificity and PPV, and could be used as a screening tool in specialty treatment settings. A new tool has been developed to screen for adult attention-deficit/hyperactivity disorder (ADHD) using the Diagnostic and Statistical Manual of Mental Disorders, Fifth Edition (DSM-5) criteria. This is the first screening scale using DSM-5 criteria, and it basically differs from its DSM-IV counterpart as more emphasis is posed on the fact that symptoms significantly “interfere” with, or lead to “lower quality” of day-today functioning. Interestingly this new screening tool has been developed via a novel machine-learning algorithm called “Risk-Calibrated Super-Sparse Linear Integer Model”, which finds the best-fitting logistic regression model with a fixed number of screening variables and optimal integral scoring of each item to predict clinical outcomes. When you’re in a conversation, how often do you find yourself finishing the sentence of the people you are talking to before they can finish it themselves? How often do you put things off until the last minute? How often do you depend on others to keep your life in order and attend to details? It can be noted that the last two of the screening items that best predicted diagnosis are not DSM-based ADHD symptoms “per se”, they are rather associated with a particular aspect of chronic/systematic procrastination and dependence on others to get life organized. In the authors’ opinion these items reflect executive dysfunction and they were previously found to be associated with a correct prediction of a diagnosis of adult ADHD, more than the ADHD symptoms themselves (Kessler et al. 2010). Furthermore, three of the six items above reflect interpersonal dysfunction (i.e. paying attention to what people say, finishing sentences before people can finish them during a conversation, depending on people). This points out the fact that problems with interpersonal functioning are a major source of impairment in adults with ADHD and it may be easier for them to recognize these aspects rather than the capability of sustaining attention or other symptoms. In a relatively recent study on a Swedish sample (Petterson et al. 2015) the six screening items of the DSM-IV-based ASRS displayed a 91.7% sensitivity, 27.1% specificity, 0.759 AUC and 61.1% PPV. In this study specificity, AUC and PPV were significantly higher for the DSM-5-based version of the screener (see Abstract). Furthermore the authors find an 8.2% prevalence of adult ADHD in their sample, definitely a prevalence rate way higher than expected. This warrants a validation and application of the new screening tool in European Countries in conjunction with structured clinical interviews based on DSM-5 criteria currently under development. Sensitivity, specificity, AUC, PPV and prevalence rates based on the new DSM-5-based screening and diagnostic tools must be defined for Europe and its countries. Furthermore, the DSM-5-based ASRS should be tested in longitudinal studies as potential prognostic/therapeutic index easy to use in order to track symptoms’ trajectories, their response to treatments and perceived impact on functioning quickly. Finally if results reported by Ustun and colleagues for the U.S. should be confirmed in Europe with a higher detection rate for adult ADHD symptoms, then we would need to develop sufficiently accurate and reliable severity stratification tools in order to identify subjects who may benefit most from further assessment and specific treatments.